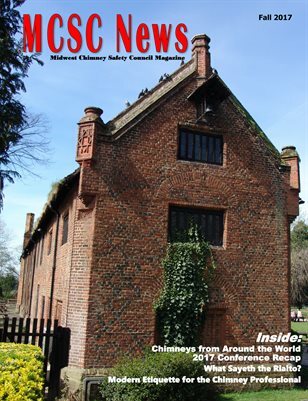 Get your FREE digital copy at MagCloud! 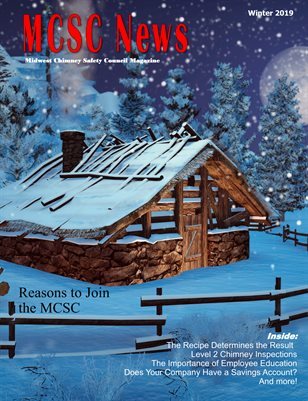 Get your FREE digital copy ​at MagCloud! 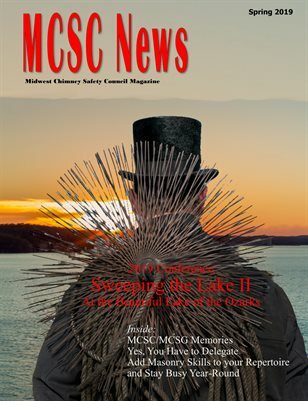 The MCSC News Magazine is published quarterly by the Midwest Chimney Safety Council It is geared towards chimney service professionals and related trades. 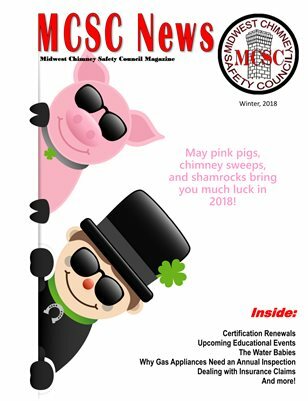 The magazine is sent in print to members of the MCSC. It is available in digital form to anyone free of charge. Gas service, Insurance claims, upcoming events, certifications, and more! 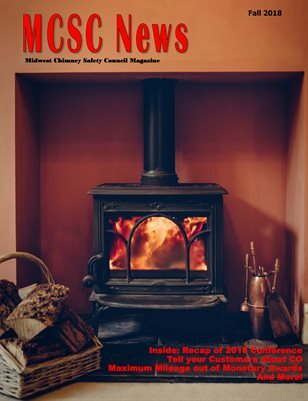 Winter 2019 issue includes Does Your Business Have a Savings Account?, The Importance of Employee Education, Level 2 Chimney Inspections, and much more for the professional chimney and hearth technician. 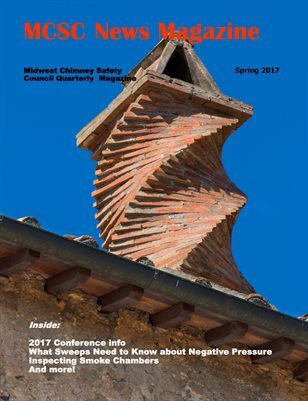 Midwest Chimney Safety Council Magazine - this issue has a recap of the 2017 conference, photos of chimneys from around the world, and articles for professional chimney technicians. 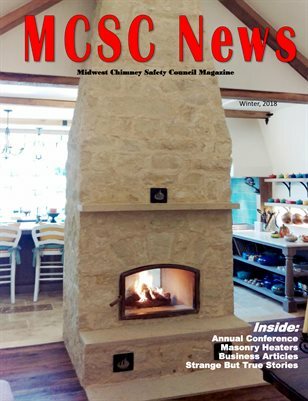 Fall 2018 Issue of the Midwest Chimney Safety Council Magazine. 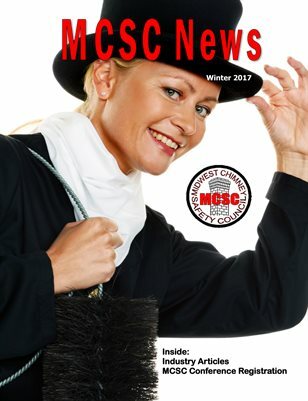 Articles about the conference, gas course, and business topics.